When you walked into the courtyard behind my house you left Connecticut and entered Italy. A group of elderly Italians, most of who I was related to in some way, sat outside most of the day. Playing pinochle, eating grapes, dates, and nuts. Laughing and chatting about their grandchildren and their gardens. Once Michela who was 90 years old slipped on her stairs and hurt her leg. When my mom, a nurse, came to help her she asked. "What is the name of your doctor, so I can call him?" "Michela replied, "Doctor? No doctor, I'ma no sick. I drink my wine everyday. I have no pain." Michela probably didn't feel any pain or had any chronic alignments. She like the rest of these agile (they walked everywhere), mentally sharp, native Italians ate the Mediterranean diet. Rich in nuts, olive oil, vegetables; low in meat and dairy. This diet has again been affirmed in a new study just published in the New England Journal of Medicine that it reduces a persons chance of developing heart disease. So please think about making fruits and vegetables along with whole grains be the centerpiece of your meal. Use meat and dairy as a condiment. Try a few of my recipes. Check out my weekly menu plan. Look at the site Oldways which is a nonprofit organization that gives out excellent information on how to eat a Mediterranean diet. Mediterranean cooking is simple, healthy, but very satisfying. You can also check out Dr Stephen Gullo's website. 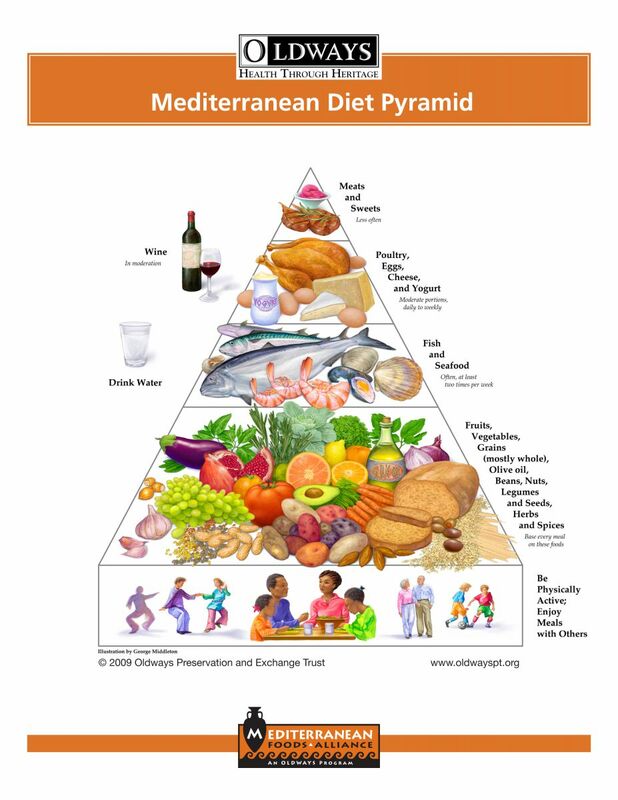 There you will find array of articles and recipes that connect the Mediterranean Diet to weight loss. Sounds like a fantastic meal plan. I to somehwhat follow the same diet. Which is probably why I enjoy your recipes so much. I wish I could convince some people that eating this way is very enjoyable and you feel good because the food isn't heavy. I just bought that same pasta because it looked so good! I need to check out some of these recipes. We are trying to eat better - and get out of the winter heavy foods habit! 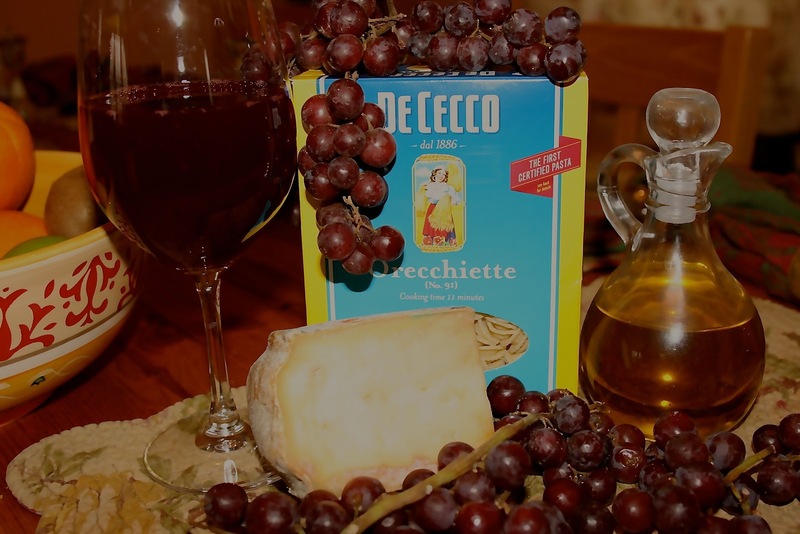 DeCecco is a quality pasta but it can be pricy. I like Barilla too and you can sometimes find it on sale. Great to hear... thanks for stopping by my site.